As part of its quarterly index review, Morgan Stanley Capital International (MSCI) revealed that there will be two additions to its MSCI Frontier Market Index: FLC Faros Construction and Saigon Beer Alcohol Beverage Corporation. FLC Faros Construction is, as the name suggests, a construction company based in Vietnam. The company was first listed its IPO on the Ho Chi Minh Stock Exchange in September 2016 and managed to multiply its value by almost 13 times its original worth by the end of November (from $170 million to $2.2 billion), making it the 7th largest company in Vietnam. To put this in perspective, Coteccons Construction JSC, the second largest construction company in Vietnam, is valued at around $510 million. The sudden spike in its valuation means that its current P/E ratio stands at 138.87, indicating that, relatively speaking, it is one of the most expensive stocks in Vietnam. Faros was also one of the major Vietnamese companies that enjoyed a significant increase in its earnings in 2016. The company is completely owned by domestic individuals and institutions (85.1% and 14.9% respectively) and currently has no degree of foreign ownership. Customarily abbreviated to SABECO, this company is one of the largest brewers in the country. 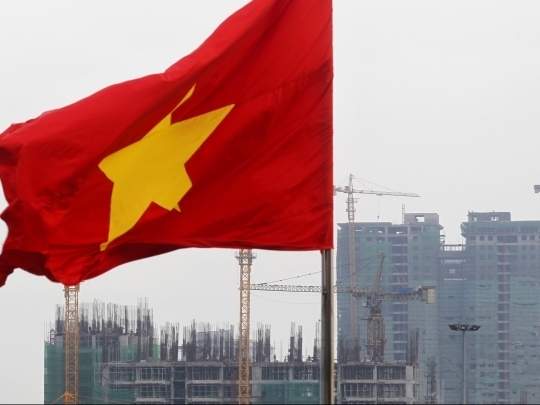 Previously in the hands of public ownership, the Vietnamese government announced in 2016 that it would sell its 89.59% stake in the company in order to combat the nation’s growing budget deficit. SABECO was eventually list in the first week of December 2016 and surged by 20% during its debut on the Ho Chi Minh Stock Exchange. There was more positive news for investors after the company reported a 33% increase in profits to $205 million in 2016, further reinforcing interest from foreign companies such as Heineken and Thai Beverage. The government plans to sell its entire stake in the company by the end of the year. Vietnam’s beer output it expected to hit 4.1 billion liters by 2020 and the industry is predicted to enjoy an annual growth between 4% and 5% over the next five years, according to government predictions. At this present time, Vietnam enjoys the 5th largest weighting in the MSCI Frontier Market Index (after Kuwait, Argentina, Pakistan and Morocco). With Pakistan in the process of being upgraded to an “Emerging Market”, there is much more scope for not only Vietnam, but other Frontier Markets to have new companies added to the prestigious index. In MSCI’s November Index Review, six new constituents were added to the MSCI Fronter Market Index, these were: Bank of Jordan (Jordan); Pampa Energia (Argentina); Bank of Bahrain and Kuwait (Bahrain); Dhofar Bank (Oman); General Bank Cote D’Ivoire (Ivory Coast); and Sonatel (Senegal).